Vroom. Fueling Education. : Looking Back on 2016. The Journey to Elite. Looking Back on 2016. The Journey to Elite. 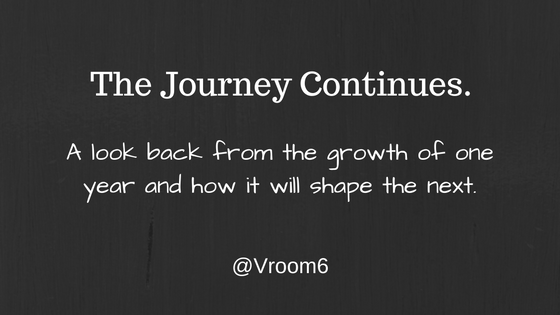 This past year has been quite the journey in teaching and learning. There have been ultimate highs and forgettable (yet teachable) lows. The most euphoric moments have been affirming to the great things happening with the teachers, students and community in which I serve. The dips I have faced, some more recent than others, have been a reminder of the amazing growth that awaits me. One of the qualities I strive to maintain is that I am teachable. You each coach me up. We serve each other on a journey to elite. And with another year coming to an end, part of the process is to take a look back at where we have been. Reflection is essential. The method and platform in which we do is personal. Some engage in conversation while others take to the keyboard and write. Personally and professionally this year has provided me with once-in-a-lifetime experiences that will not be soon forgotten. With great excitement, some moments and experiences in 2016 will be welcomed back in 2017 via the "red carpet". These moments are the ones that define us and help us grow in our depth of our leadership as teachers and administrators. The moments that will not return, the good and the bad, are what refine us. Those moments are equally as important in our growth. Here is a look back at 2016 via the posts that I have shared. Not every high is reflected nor is each of the lows. What I have shared are the moments in which I was inspired to write. Here is looking forward to another year of growth in 2017. 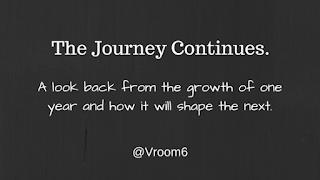 I hope you join me, and the #CompelledTribe, on the journey we are all on. Let's Finish where it started in 2016. 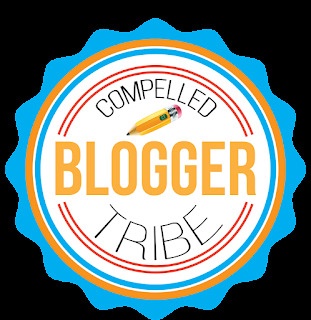 I am ecstatic to report that the goals that were established in this post one year ago have been met with fierce intentional passion. Our culture defines us. It is what makes us relentless in our pursuit of excellence. One of the most read posts of the from 2016 came from a post written in March. 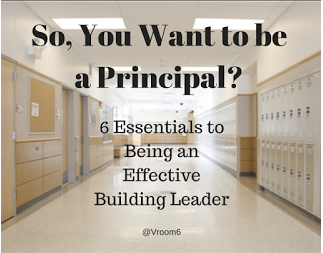 The title, So You Want to be a Principal speaks for itself. There was great feedback from what was shared. And, as a principal myself, so much yet to learn. 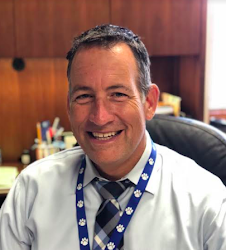 An essential element of being a driver of the culture of your school community is the power of being connected. 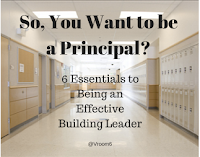 I have written more than one post about my belief in this professional growth but this post in particular this year, Rules of Engagement - Being a Connected Educator, resinated with many of you. This post is worth coming back to time and time again. The most shared post in 2016 was one I least expected. There in lies the lesson itself. 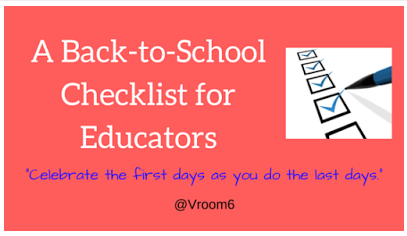 When writing A Back-to-School Checklist for Educators (And another post for those aspiring to be an Administrator) there was one thought that kept racing through my mind and that is, "How would I want to remember my year as a learner?" My focus for 2016 was relationships. This post, like so many others over time, continue to come back to the theme of "purpose". Do you know your purpose? I continue to learn mine. My most powerful moment of 2016 was months in the making. The staff at Hilliard Weaver Middle School provided a back-to-school experience like never before. Our #1st3Days for students focused on these core essentials in teaching: relationships, passions and identifying who we are as learners and where we were going as to head on this journey. Not Your Ordinary Start to School gives an overview of this experience we are excited to bring back in 2017! An just like that 2016 comes to an end. A simple post, What I Have Learned So Far This Year, brings it all together. Relationships, environment, best practices and drive all resonate with each of us as leaders in our classrooms and in our buildings. Continued growth is essential. Remember, the journey to elite is not done alone. You need the power of a team, you need trust and you need a desire to grow. Passion must be present and the peaks and valleys of your year will only make you better at what you do and how you do it. 2016 is in the past and I am excited for what awaits in 2017 and the learning that will occur.